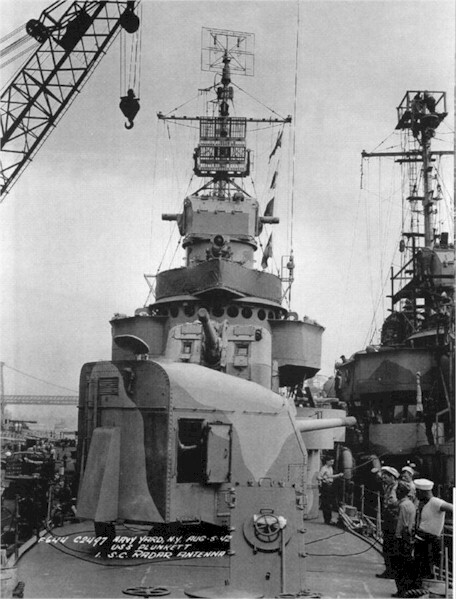 Launched March 9 1940 and commissioned July 17 1940. 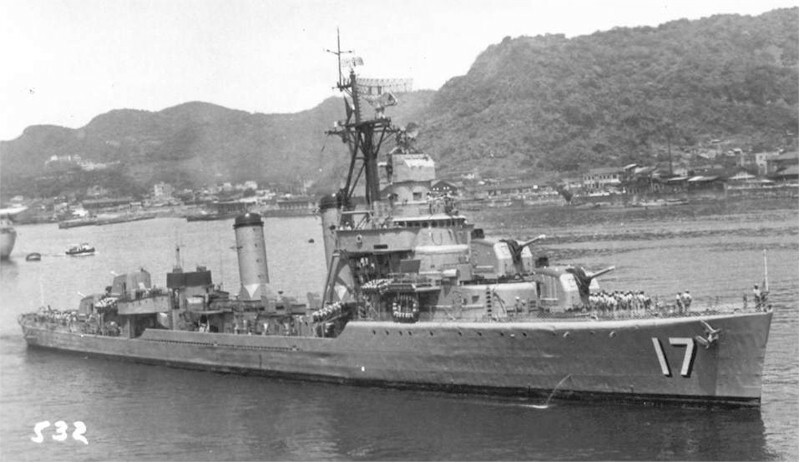 To Taiwan February 16 1954, renamed Nan Yang. 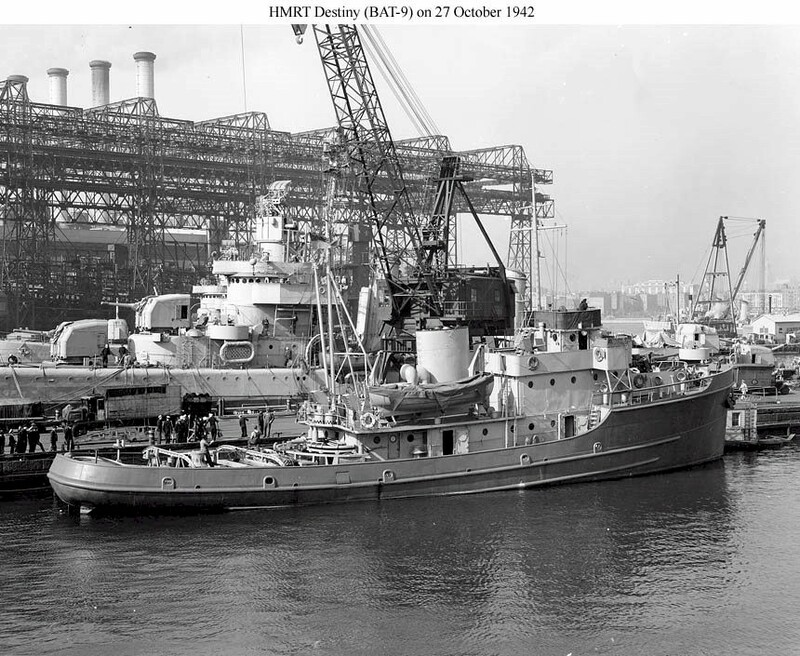 Fate Stricken and scrapped in 1975. 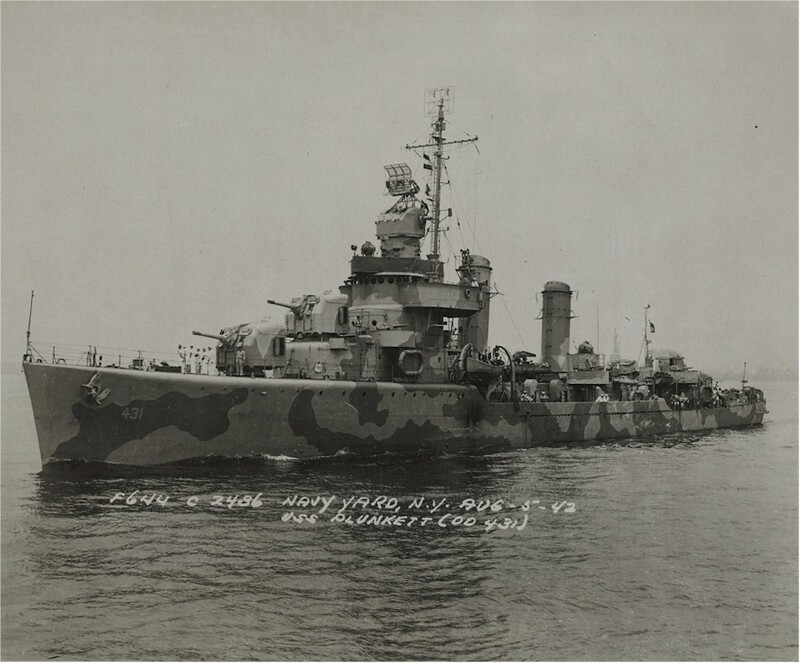 "For outstanding heroism in action against enemy forces off Anzio, Italy, from January 21 to 25, 1944. 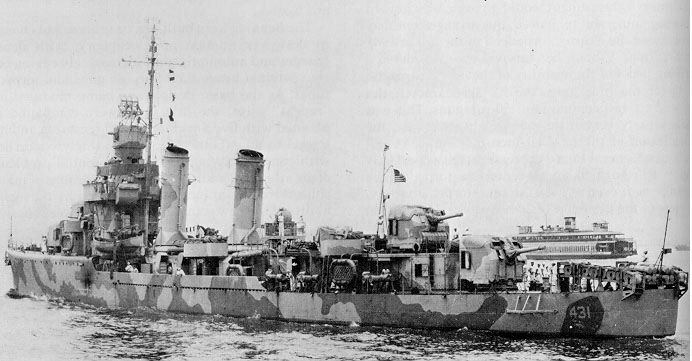 Operating with Task Group 80.6 off the beachhead at Anzio and subjected to a concentrated torpedo and glide-bombing attack by fourteen Germans planes, the U.S.S. 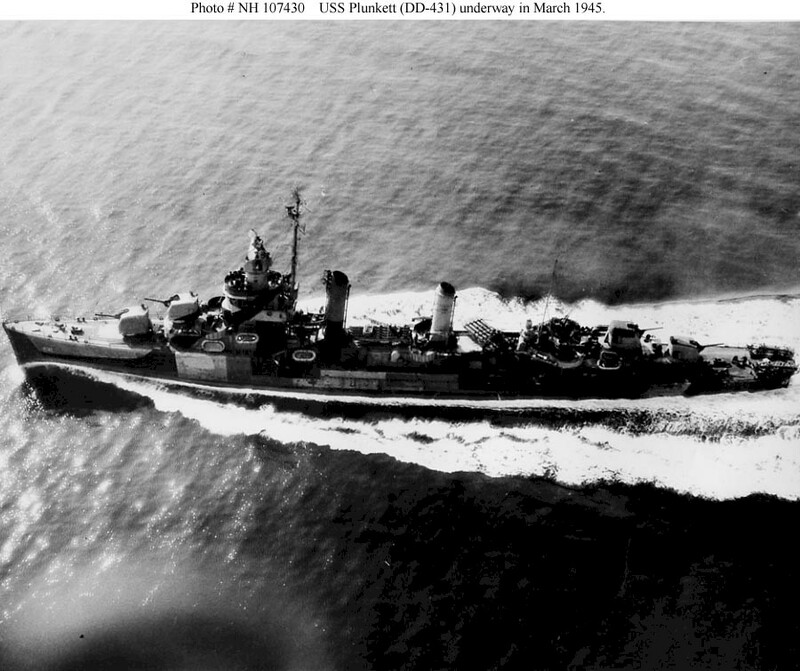 PLUNKETT maneuvered radically to avoid the deadly missiles as she sent up a hail of fire to send two of the hostile aircraft crashing into the sea. 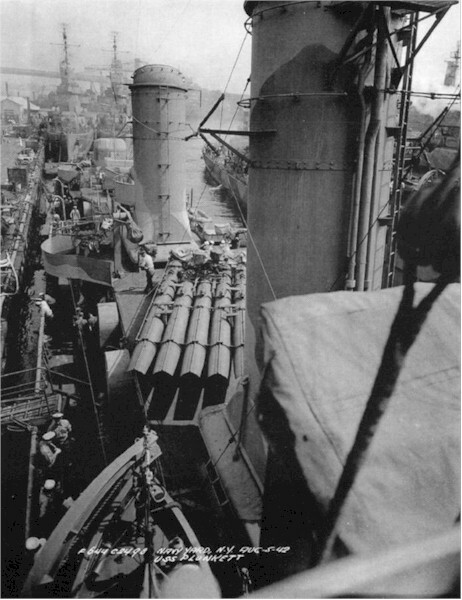 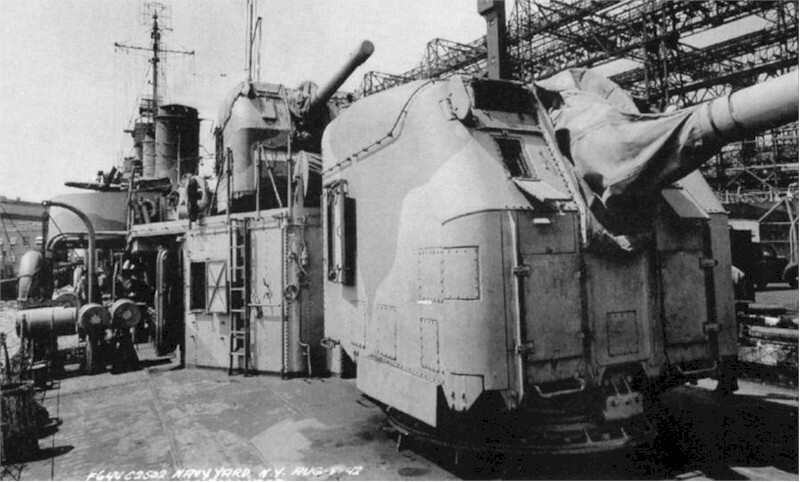 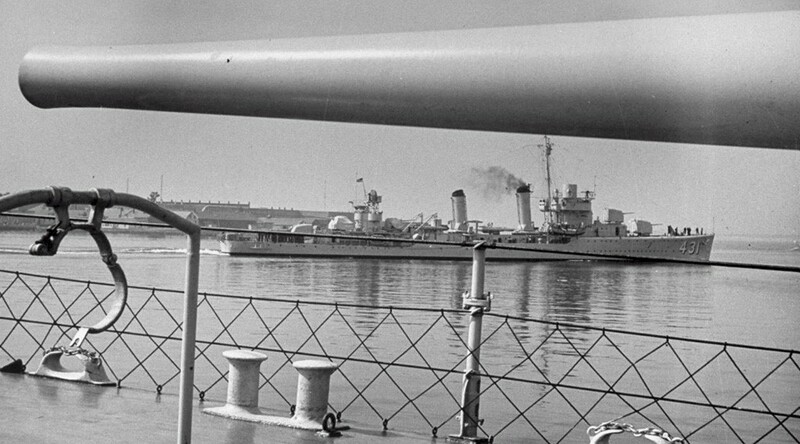 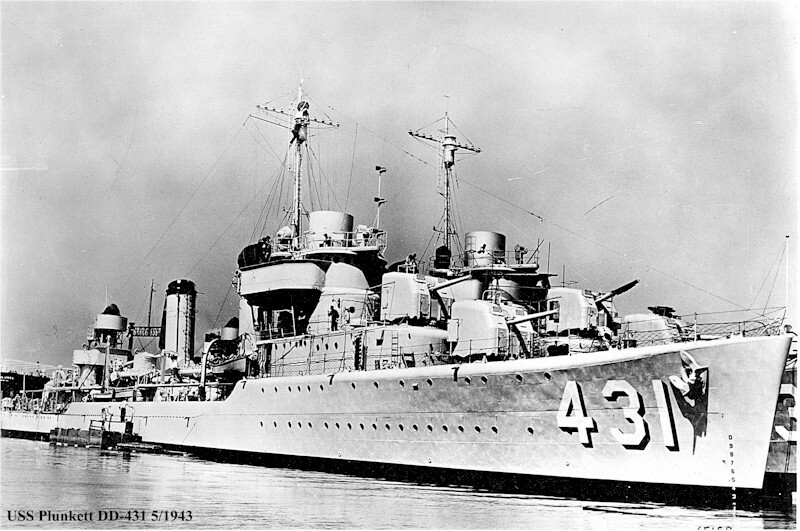 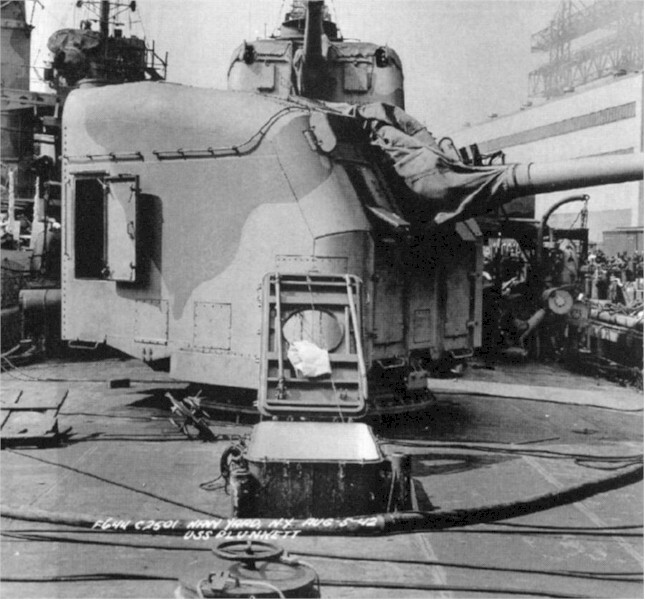 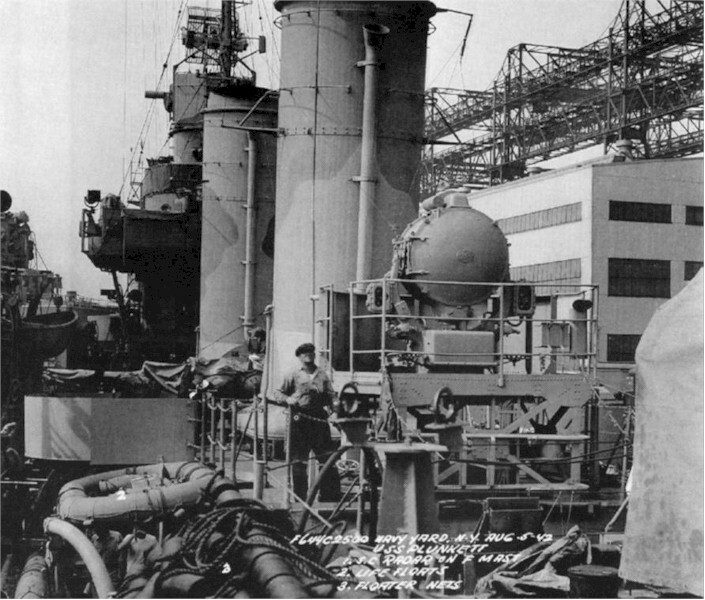 When a 550-lb bomb crashed on the 1.1" gun platform, killed 53 officers and men and started a raging fire, which, augmented by exploding ammunition and depth charges ruptured the fire main to the after magazine, her heroic crew jettisoned the burning depth charges and ammunition, secured the steam-filled fire room and extinguished the flames within ten minutes without cessation of fire from her own guns. 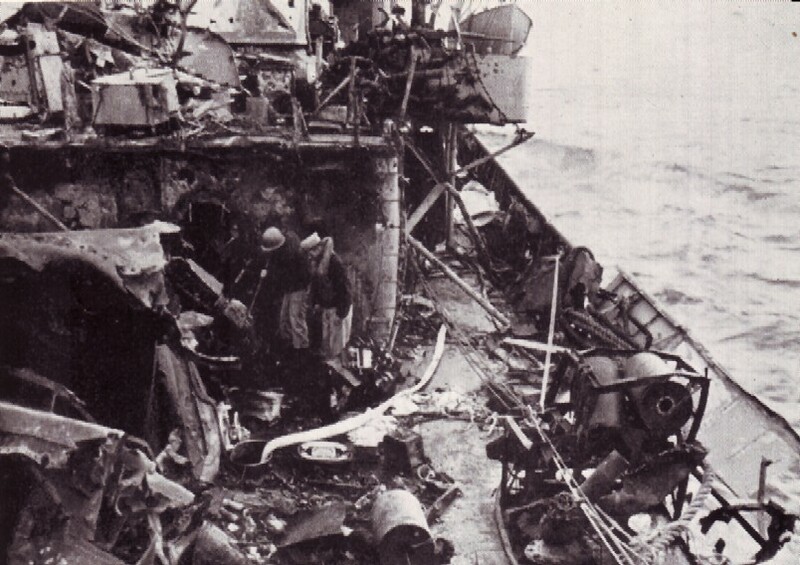 Although under-manned and damaged, she responded magnificently to the joint efforts of all her departments and successfully cleared the hazardous area at reduced speed, reaching Palermo battered, but still seaworthy. 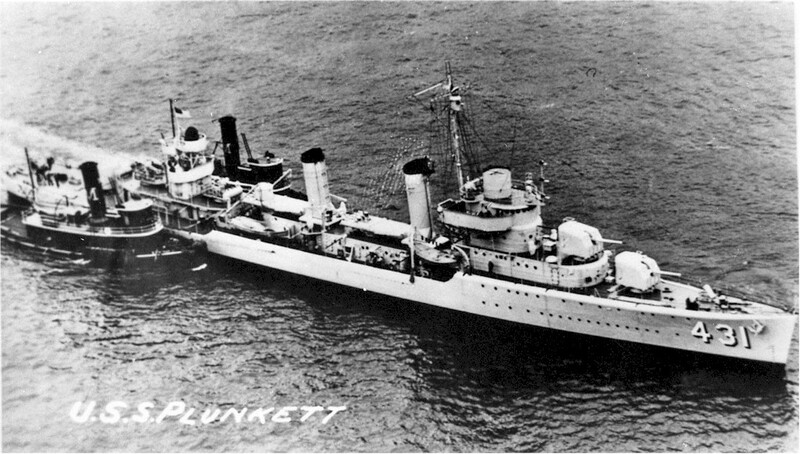 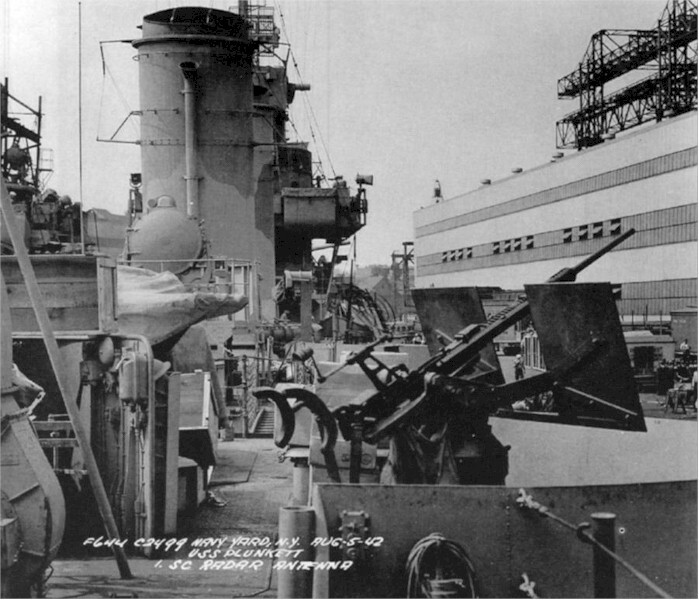 The PLUNKETT’s intrepid spirit and combat efficiency attest the valor and skill of her ship’s company and reflect the highest credit upon herself and the United States Naval Service." 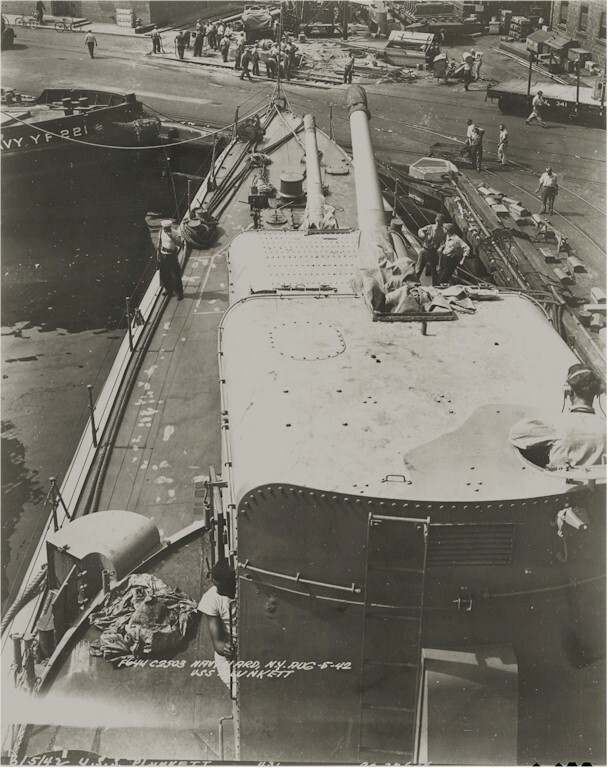 All personnel attached to and serving on board the U.S.S. 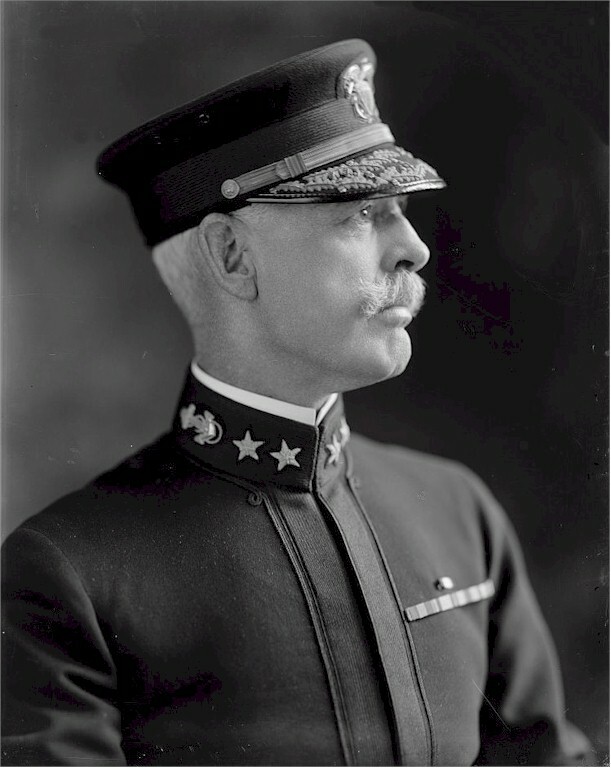 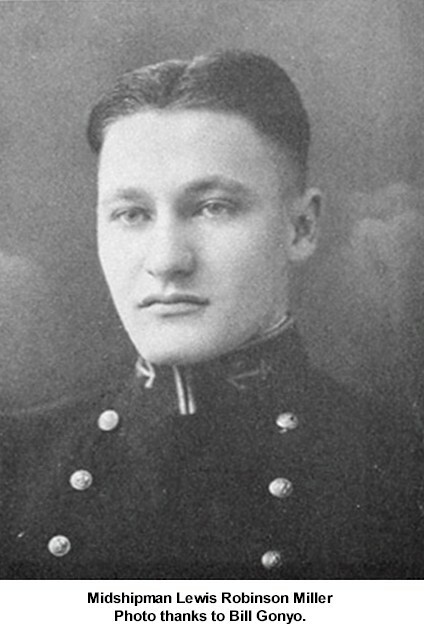 PLUNKETT during the above period are hereby authorized to wear the NAVY UNIT COMMENDATION Ribbon.